Polk Audio MagniFi Mini addresses the biggest problem with most TV speakers: their distorted, hard-to-hear dialogue. 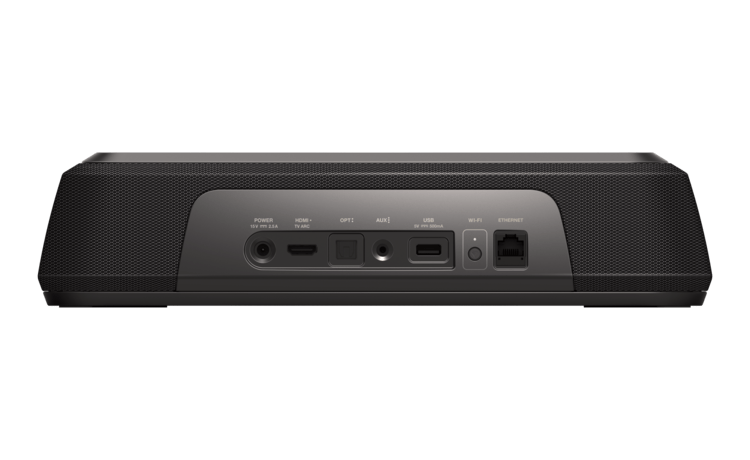 The MagniFi Mini sound bar tackles this issue with Polk’s patent-pending VoiceAdjust technology. VoiceAdjust lifts the sound of speech so that it’s easy to make out, regardless of what you’re watching — or how loud. Even soft-spoken dialogue comes through crystal-clear whether you’re sitting directly in front of the TV or off to the side. There’s even a separate volume control just for voice. Hooking up the Polk Audio MagniFi Mini is quick and easy. It connects to your TV with just a single audio cable. Using the included HDMI or optical digital cables lets you take advantage of the bar’s built-in Dolby Digital decoding. You can also choose between three listening modes — Movies, Music, and Sports — to help tailor the sound to what you’re watching. 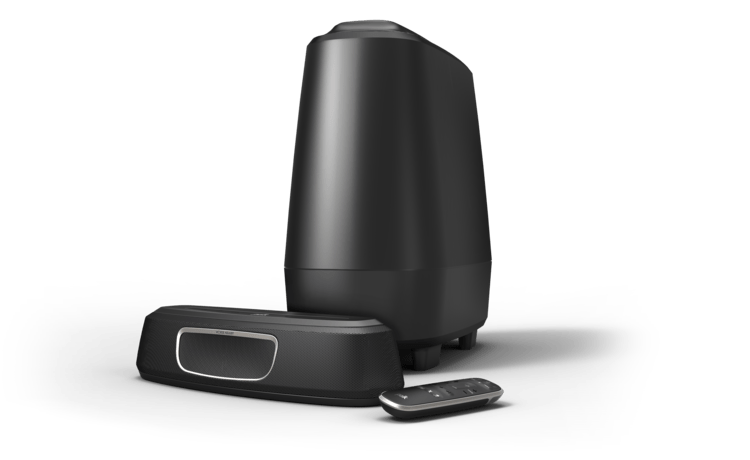 Speaking of connections, the Polk Audio MagniFi Mini also has built-in Bluetooth and Google Cast. 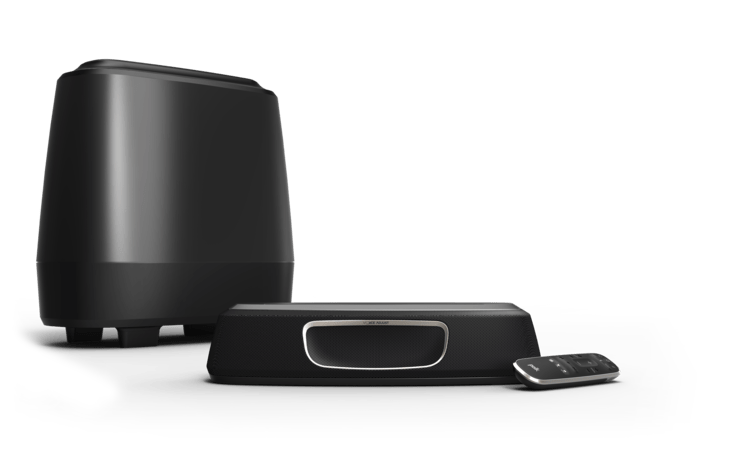 You can wirelessly play tunes from your smartphone or tablet through the sound bar’s powerful drivers. 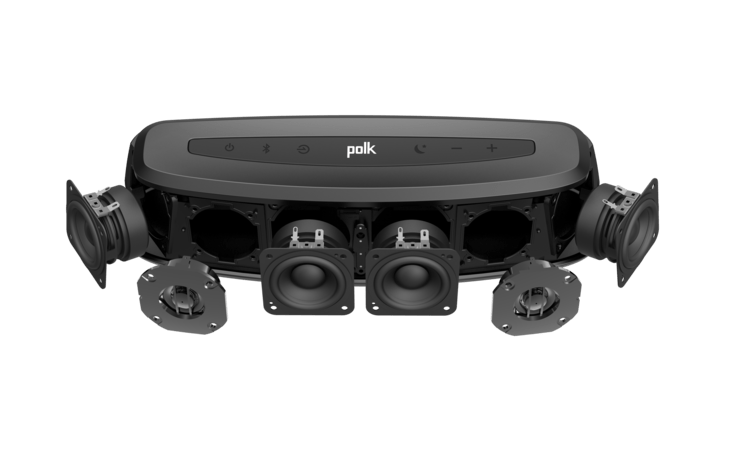 Polk included a sub with a 6-1/2″ woofer to deliver satisfying bass for high-energy action scenes and music. It connects to the sound bar wirelessly, which makes it super easy to place in your room — you just need to plug it into a wall outlet for power.